This little duo has been adopted!!! Stevie and Ray are two brothers that came from a hoarding situation. Years of inbreeding resulted in a genetic malformation of their eyeballs. Both boys have significant to full loss of vision, but this does not slow them down. Stevie and Ray have no idea they are different than any other cat. They love their cat tree, play with toys, wrestle with each other and use their litter box just like kittens with sight. Stevie (the smaller one) is definitely the braver of the duo. He is fearless in his exploration and confidently meets new people, cats and even dogs without hesitation. Ray depends on his little brother for guidance in new situations and does not like to be separated from him. If he is left alone, becomes uncomfortable or lacks confidence he will cry out for Stevie and will continue to cry until they are reunited. Because of this it is mandatory that they are adopted together. Both boys start purring the moment they sense your presence and love to receive affection. Common with most blind cats, they are not big fans of being picked up, but they will relax in to you if you hold them close to your chest. They are fairly picky eaters but their foster mom has found food that they love. Being the Princes they are, it is one of the more expensive wet foods, but they are worth every penny spent. The boys have been neutered, but they will require further surgery on their eyes in a few months. 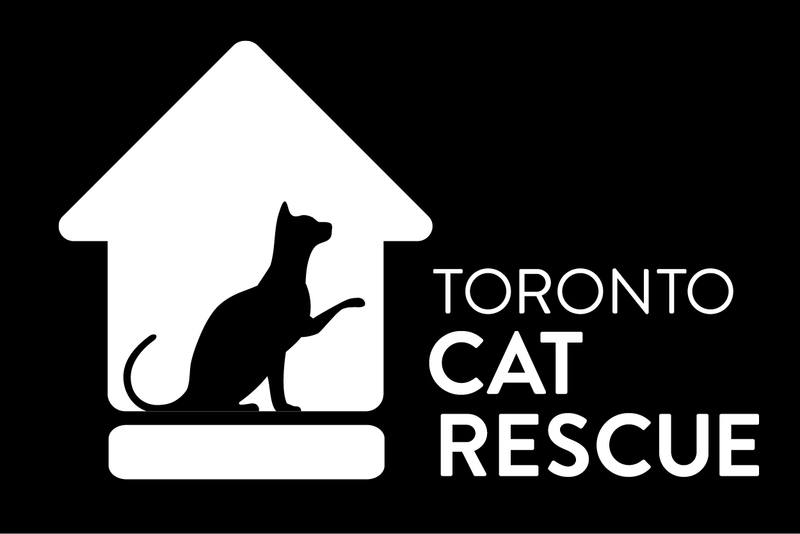 TCR will cover the cost of this surgery, but the adopter must be willing and able to bring them to the central Toronto clinic they have been treated at to have this performed. Their ideal new home will have experience with sightless cats, or have researched how to provide a safe and stimulating environment for them. They must realize that accidents may happen, especially when they are young, in new environments and/or their surroundings have changed. They must commit to keeping them together for the rest of their lives and love them unconditionally. Please consider making a donation toward their surgeries. ← Adoptathon Saturday With WAG!